Super Fast, Super Food -Healthy Breakfast or Lunch! Fast Healthy Breakfast for folks on the go! At the grocery store the other day I saw a bag of a new kind of granola. I can’t remember the brand name, but all it had in it was chia seeds and some coconut and hardly anything else. It was crazy expensive! So I decided I would try my own take on it! Mine takes the cake for sure! Here it is all piled up! 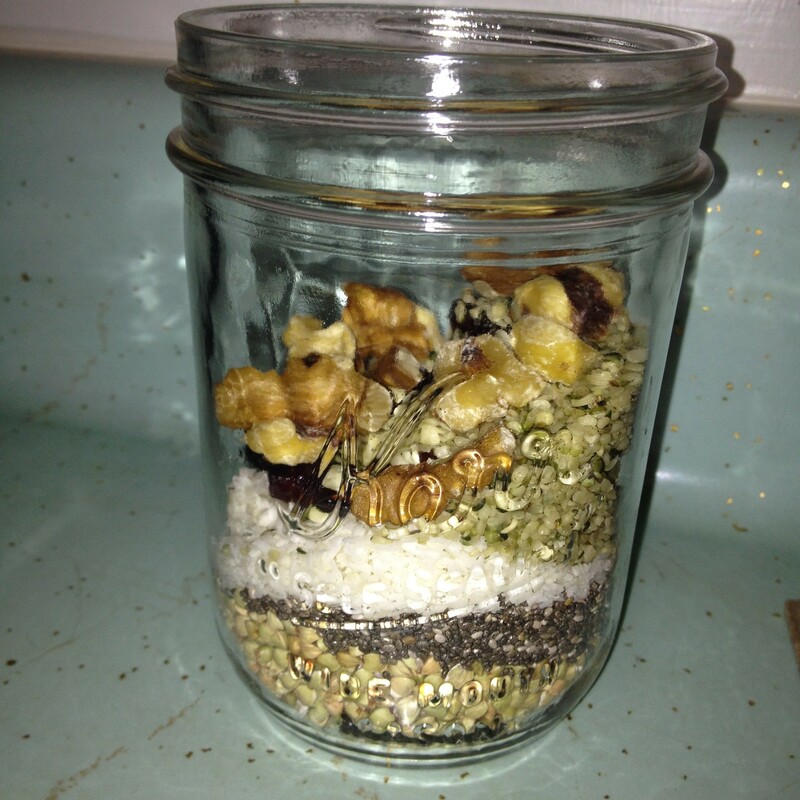 From bottom to top we have buckwheat, chia, coconut, hempseeds, hiding raisins and pepitas, walnuts with cinnamon sprinkled on top and liquid stevia. Pour in the milk but leave some room on top for stirring or shaking it up. You will need to shake it up a couple of times so that the chia seeds don’t just turn into a giant gelatinous ball! 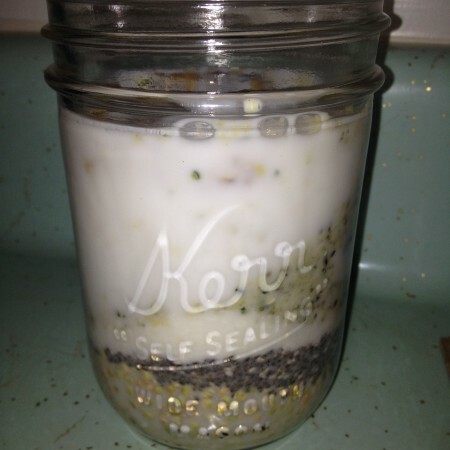 This is a no cook super fast healthy breakfast or lunch to go! 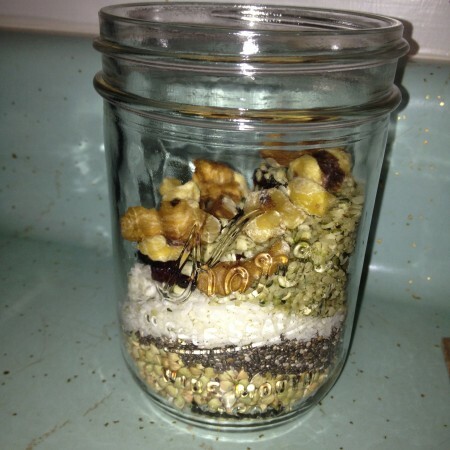 Put this all in a jar – fill 3/4 of the way with milk of choice then stir like crazy or shake it up! You can eat this immediately or let it soak for a while (till lunch). Shake it up a couple of times and top it off with milk if you like. This was filling and satisfying and fast! I love bringing it too work for a power packed lunch! Just make sure your lid is closed tight!!! If you enjoyed this be sure to share it with your friends below! And make sure to sign up for the mailing list so that you don’t miss any tips, tricks or recipes!